Melanged Magic: I've Been Spoiled! After two days of no mail due to snow and icy roads, I really hit the jackpot yesterday when the yellow La Poste truck stopped outside my gate. There was a package for me! All the way from the USA from my friend whom I refer to as "Jam Karen," (This is because I have two other friends named Karen..."Priest Karen" and "Life Flight Karen". You guys know who you are!) Jam Karen, as her name implies, is a jam maker, par excellence. 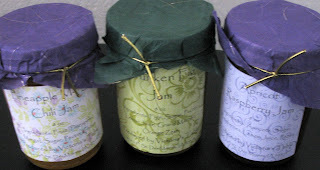 And in my box, I found three jars of her yummy creations....Pineapple Mango with Chili, Drunken Fig, and Apricot Raspberry jam. Her jam is better than any I've had anywhere, even here in France. Anyone who has purchased her lovely jam at the downtown Des Moines Farmer's Market will agree with me. You can visit her Facebook page here: https://www.facebook.com/pages/Victorias-Table-Artisan-Jams-Jellies/208841322469039 Now the only question is whether I hoard it for myself or open and share with friends! But my box wasn't quite empty. 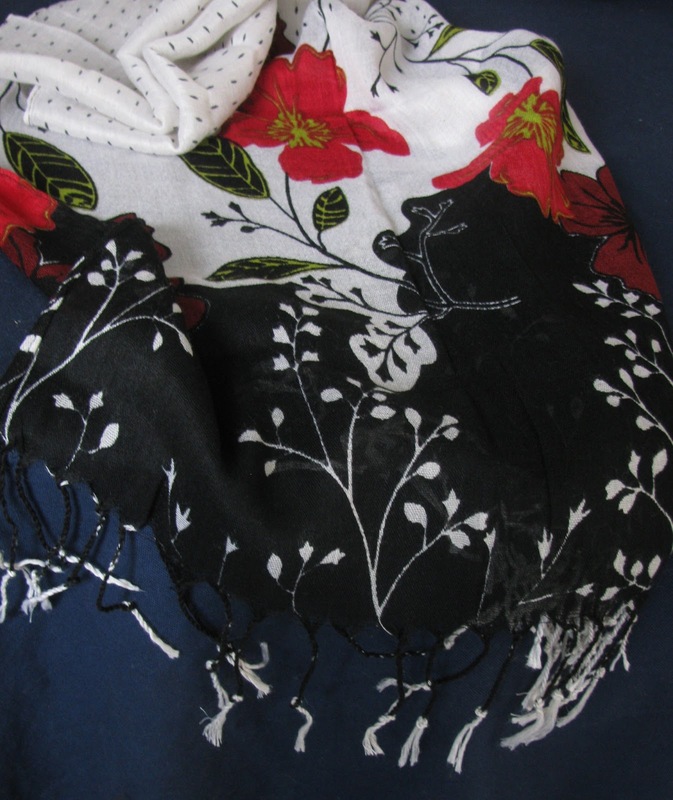 There was also this long pretty scarf in my very favorite colors...red, black and white. Perfect choice. And 8 tall beeswax candles. I have been truly spoiled! I LOVE getting packages in the mail and all the more special that it arrived on an unexpected day! Enjoy it! Also, enjoy your trip to Paris and the photography lesson! Someday I hope to visit France too ^_^!